We’ve done the science, now look at the results. Our blog gives you a close up look at what we do, as well as regulatory and breaking news about how our services could save your business money or earn valuable tax credits. In spaces that have widely varying levels of occupancy, demand control ventilation can reduce energy use and costs. This is especially true in spaces that are unoccupied for significant stretches of time-think churches, large auditoriums, and even offices and retail spaces to a large extent. Despite that fact, most HVAC systems are designed to bring in the same level of outside air and do so continuously, a significant waste in respect to both energy and money. To combat such inherent inefficiencies, demand control ventilation strategies can be implemented to bring in outside air only when needed. In a nutshell, demand control ventilation relies on the fact that humans produce carbon dioxide. Demand control strategies therefore hinge on installing sensors to measure carbon dioxide levels-when levels rise, more outside air is brought in and, you guessed it, when levels fall, the amount of outside air brought in is reduced. While it seems simple, demand control ventilation strategies can seriously reduce energy costs due to the fact that outdoor air has to be conditioned by the HVAC system and less air, then, has to be moved. Something to think about! Many commercial and institutional facilities are equipped with more motors operating in their HVAC systems than is realized. Famous energy hogs, motors therefore offer great opportunities to make a significant impact on a facility’s energy usage. One notorious cause of energy inefficiency within HVAC systems is a mismatch between the motor’s rated horsepower and the load it is driving. While most of these systems use induction motors because of their known reliability and efficiency, like chillers themselves, these benefits drops off significantly when operating under part-load conditions. Properly matching motor horsepower to system load requirements is a simple way to realize major energy savings. In order to assess this situation in your plant, you’ll want to conduct a survey on HVAC system motors to identify those that are significantly oversized for their application. The goal of the process is to develop a comprehensive list of applications that use motors, including information on the motor horsepower, the load it is driving, and the age and rated efficiency of the motor. With this data, you can determine which motors in your plant are candidates for replacement, the end result of which provides you with two major benefits: improving the operating efficiency of the system and a quick payback via the efficiency gains you’ll see from an appropriately matched duo. Motors and Drives and VFDs, Oh My! We’ve come along way from rusty old motors. Recent developments in the design of motors, drives and other related components have opened the door to new savings opportunities. Take a look. Right-size: Seems simple but studies show that 55% percent of applications use oversized motors, even though drives and other components, such as gearboxes and driven fans, pumps, and compressors, must be the right size for the load. A motor operating at 80-100 percent of full-load current at design voltage will operate most efficiently so take note. Upgrade: The Energy Policy Act (EPAct) of 1992 set higher efficiency standards for motors sold in the United States after 1997. Manufacturers continued to develop motors with greater efficiencies, and in 2001, the National Electrical Manufacturers Association (NEMA) recognized this effort by establishing a better-than-EPAct rating, NEMA Premium. These motors have more iron and copper, closer tolerances, and smaller air gaps. Since a motor’s operating cost far exceeds its first cost, replacing a pre-EPAct motor with these higher-efficiency models can yield a payback period of three years or less. Hot damn. Timing belts. New synchronous, non-slip belts require less tension, meaning a longer bearing life. More impermeable to water and also more stable, these belts eliminate re-tensioning. Further, improved tooth designs allow deeper tooth seating, and taper lock-shaft adapters offer more shaft sizes for the same size sprockets. Their shorter axial dimension results in less overhang because the belt centerline is closer to the bearing, reducing misalignment. VSDs: Permanent magnet motors with VSDs offer more energy-efficient options for cooling-tower fans than the traditional induction motors coupled to the fan via a right-angle drive. VSDs direct connection between the motor to the fan can eliminates up to six bearings, depending on whether the drive. This not only reduces the need for bearing lubrication and gearbox oil changes, but significantly lowers maintenance costs. Wondering whether it’s more practical to replace your existing building automation system or to upgrade it? Consider three major points in favor of biting the bullet and replacing your BAS. Moore’s Law: Holding on to your old system may limit its ability to perform. New systems have expanded capacity, capability and can streamline data readings from multiple interfaces into a single, comprehensive system.  Wireless technology has helped to reduce installation costs while increasing system flexibility. New systems are often less expensive than their dated counterparts once were and much more user friendly. In-house Integration: Depending on the life of your other functioning equipment, replacing your BAS with a newer system may allow a more robust interaction among instruments. Upgrading an existing system may bring system features and facility needs into closer alignment, but will never be as close as that of a complete replacement. All Good Things Come to an End: Eventually, your BAS will become obsolete-the trick is to determine whether it already is. Evaluate whether the system has some life left or whether it’s best to reset the clock now before the compatibility window has been shut. tekWorx CEO® can optimize your chiller plant by either becoming your plant’s brand new BAS, or by simply acting in a supervisory manner to coach your existing system to operate more efficiently. 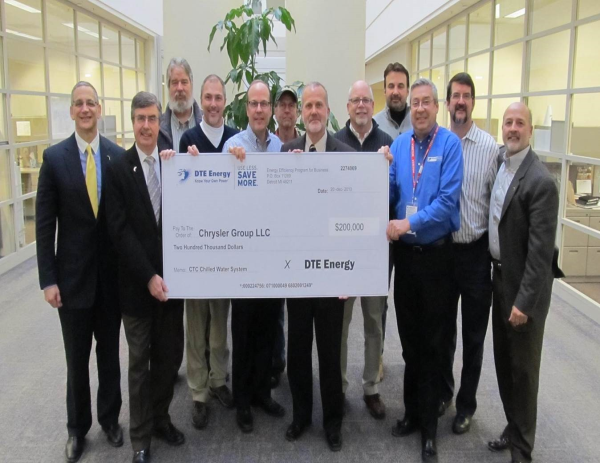 In January, the Chrysler Technical Center Facilities Group received a $200,000 DTE Energy rebate check for reducing their central energy plants annual energy costs by approximately $1 million! The DTE “Energy Efficiency Program for Business” incentive provides rebates to DTE Energy’s electric commercial customers for retrofitting facilities with more energy-efficient equipment for HVAC systems or control operations. These customer incentives are rewarded to customers based on the first year of energy savings in kWh with $200,000 being the maximum rebate given out. The Chrysler Technical Center is one of the largest facilities under one roof in the world and, at a staggering 17,000 tons, also holds one of the largest chilled water systems. The Chilled Water System Optimization Project’s primary objective was simple: reduce the annual 49 million kWh and the associated $3.9 million price tag while automating the previously manual system. A reduction of 12 million kWh/year in cooling hours, or roughly $1 million per year, was achieved utilizing a variable flow strategy that entailed the integration of modern PLCs, VFDs, a variety of DP sensors, water pump impeller trimming, and a proprietary control algorithm developed by tekWorx. Congratulations to the CTC facilities group on their incredible achievement! For more information regarding tekWorx chiller plant optimization capabilities, check out Our Approach. Imagine walking into a hospital and being asked the question: “What do you observe around you?” It’s a noticeably pristine environment filled with people hurrying around the building. There is the constant sound of beepers, ringing phones, and distant conversations of medical terminology. The air is open and sterile, carrying a sanitary scent. Despite these automatic observations, one of the most essential components to keeping this sterile, clean and sanitary environment is not so obvious. HVAC systems are an absolutely critical part to keeping our health care buildings successful and hygienic. These cooling components help to control the air temperature, air pressure, and humidification that is necessary to overall success. The tricky part of this mission critical scenario is energy efficiency. How do systems have the possibility of saving any energy when a constant, meticulous setting is required 24/7? The systems do have to be constantly working in order to maintain the desired temperature and settings, but reducing the amount of unnecessarily burned resources is a solution. In order to successfully monitor energy and air quality, each building needs to be evaluated to improve system efficiency. Optimization in these health care systems will not only help to improve redundancy and ensure reliability, but help to increase financial savings on wasted resources as well. Meeting the demand of energy efficiency and reliability in a delicate mission critical scenario is challenging but attainable. tekWorx will evaluate your plant and establish a system energy assessment to create a unique, customized energy solution. Even after this adaptive control solution is in position, tekWorx engineering experts are always available, keeping a close watch on your installation and continuously monitoring to ensure system efficiency. This is one way we can continue to help the health care system successfully grow in a safe, clean, and environmentally friendly way. Check out our results page to see how tekWorx has worked to increase annual plant savings, helping an impressive list of companies become truly energy efficient. 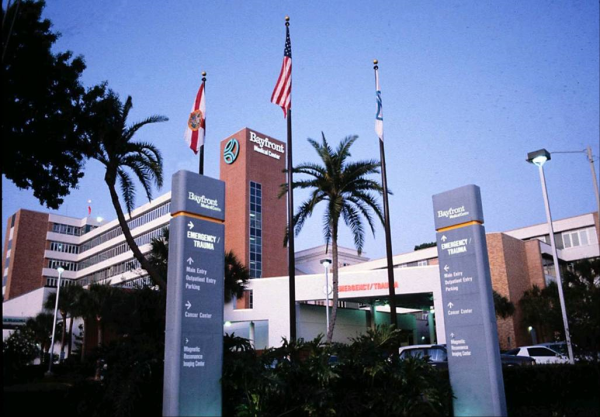 Hospitals and health systems have become a noticeably booming industry. New health care facilities are sprouting up everywhere, from huge downtown medical districts to local branches in smaller communities. Unfortunately, a hovering cloud of worry follows the excitement for these new developments—expanding or opening these new health care buildings is a very expensive process. There are several components necessary for successful construction, primarily because once these heath systems projects are completed they automatically transition into mission critical situations with no room for error. Because of these mission critical scenarios, extensive research on central plant equipment is necessary in order to determine the most reliable and resilient investment in air and waterside regulation and circulation. Optimizing these HVAC components is one way to ditch the long term expenses while implementing a quality solution. Saving money on unnecessary utility charges will cut central energy plant costs while keeping the building at the required comfort levels. The newly published Energy Retrofit Guide builds on this concept and outlines ways to optimize outdated and inefficient existing facilities, boosting scalability as well. tekWorx engineers evaluate, assess, and retrofit old systems to improve redundancy and improve system efficiency. Proper management of utilities and plant operations are critical to keep this thriving health care industry prosperous. HVAC optimization is a way to keep these buildings sterile, safe, and secure for not only the patients, but for the preservation of the equipment and technology as well. To read about some examples on how health care systems have improved their energy consumption via HVAC improvements check out this article from greenbiz.com! Finding energy solutions that will be worth the time and effort can be intimidating. A successful search requires a smart, realistic, and curious approach. It’s easy to fall into the advertising traps of the cheapest, most convenient, or most heavily promoted products. Despite these tricks, however, it’s important to remember that just because the shoe fits doesn’t mean you should wear it. An essential factor to consider while searching for this perfect fit is scalability, a factor indicative of a smart, long-term investment. It’s bad enough buying something that’s overpriced or whose inner-workings are unclear, but discovering a recent investment will soon be outdated or inefficient faster than initially planned is even worse. This is especially significant when it comes to HVAC systems and those in sensitive mission critical situations. Retrofitting central plant equipment in mission critical conditions means, in most cases, the system would be required to be temporarily shut down. Many of these plants do not upgrade their equipment or do small fixes that don’t really impact the bottom line. Finding scalable solutions that can be successfully implemented is a major challenge—after all, time is money! tekWorx CEO® perfectly embraces this need for scalability by providing a strong plant optimization solution in a short implementation time. tekWorx has developed and patented a proven system integration approach that limits and/or eliminates the amount of time the plant would have to be out of service to optimize its chilled water system. tekWorx proprietary Integrated Primary/Secondary system® addresses sensitive application environment’s inability to shut down while recovering lost capacity and delivering effective energy optimization. Check out our client results to see how scalability and downtime have been effectively addressed to provide energy solutions to major Fortune 500 Companies.